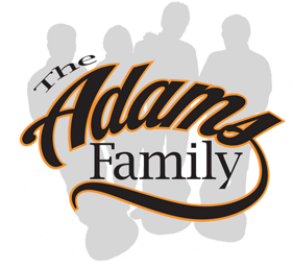 the senior member of “The Adams Family” has been involved with music since the age of 13 when he began singing and playing guitar. He formed a folk group, “The Shilohs,” which performed throughout high school at private engagements, public events, and as an opening act for George Geobel on the Lowell Showboat in 1964. After high school, he sang and played in the country genre in clubs and continued with folk music until becoming involved with “Alive & Well,” a pop and dance band, from 1973 - 1988. After a 14 year sabbatical, the band has regrouped and is again performing on a limited basis. who is Jerry’s son and Cindy and Dale’s nephew, followed in his father's footsteps and began his music career in middle school. Throughout the years he formed several bands including oldies, rock, classic rock, and funk & blues. Brian is an outstanding vocalist, equally at home singing lead and background harmonies. He is also a multi-talented instrumentalist, adept at guitar, bass, saxophone, piano and percussion. He joined “Alive & Well” in 2002 and has played a vital role. Between “Alive & Well” and “The Adams Family” he is also involved in Irish Folk music, classical and ragtime, as well as, doing a popular single act. began his musical bass playing days in an 8th grade variety show with “The Minutemen.” Throughout high school he played in the rock group “Scragg Zoster,” which recorded an album in 1969. 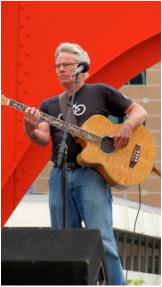 In 1973, he became a member of “Alive & Well” which for the next 17 years performed throughout the Midwest and became a highly acclaimed group in the local music scene. Dale and Cindy were married in 1976, which made him an official member of the Adams family.